Despite concerns that the nofollow tag that accompanies Twitter links means that PageRank and other algorithms are not changed by links posted to Twitter, the reality is that Twitter’s social links have essentially canceled out this issue, giving you the ability to build both your presence and backlinks through Twitter. Since social links now work the same as backlinks, you can use Twitter just like any other website for posting links to: since Twitter is a high-quality, authority site, this makes posting on Twitter smart and necessary in building an extensive backlink presence. Here are some guidelines to consider when building your backlinks on this social networking platform. One of the best and cheapest ways to expand your presence on Twitter is by building up your own account(s) that can be used to push your links to others. Not only will this expand your presence through backlinks (thanks to your established Twitter profile) but others who see you message may end up passing it along, adding even more backlinks and traffic to your site. Twitter profiles that are established typically have lots of followers, a low follower to following ratio and lots of incoming links to the profile page. While you are working on establishing your own authority Twitter profiles, you may want to consider the next option as a short-term solution for boosting backlinks and traffic. While Twitter remains relatively demonetized by its owners, those in search engine optimization and advertising have learned how to make money helping others with their own endeavors. There are plenty of “Twitter services” on the web that offer everything from established Twitter accounts (typically very pricey) to backlinks on a per-mention basis. The best and cheapest short-term route is to pay a Twitter user to post your link to their followers several times over a period of a few days. 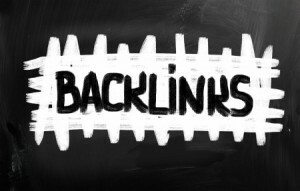 This approach is very effective and will give you backlinks and traffic. Twitter is a large community but many personal connections can be built by reaching out to other users. When someone needs help, answer their questions. When you are polite, friendly and approachable, you will find that many people will want to follow you and as a result, you will build authority on your Twitter accounts. You will also be amazed at how many people will voluntarily re-tweet your links for you if you are simply nice to them. Communication is everything – it’s obviously the essence of Twitter – and you will achieve great results by using this approach. After using Twitter for some time, it can become more difficult to track back all of your backlinks manually. Thankfully, there is no need as you can track everything by using Pingler’s Twitter Links Finder as a way to see where you’ve got backlinks and how you are proceeding with saturating the platform with your offerings. You can check each page simply by typing in the URL; results of the number of backlinks on Twitter for the page in question will then be displayed for you to record. This is an excellent guide! I am going to try this method to see if it increases the hits to Gossip Invasion. Personally I think that twitter is dead for marketing purpose. Unless you have a big marketing captialist behind you, you are always going to be behind the 8 ball. Twitter was good at one point now I feel that it is a lost cause. Now that Google is changing its rules, does anyone here know if this procedure is still valid, otherwise your will hurt your website rankings. getting backlinks from twitter is no what makes your website appear in search engines at hight ranks. it is all about the contents that will help u . With latest google algorithms change, one should diversify their anchor texts. Same anchor text over a wide network is no good any more. One should have different anchor text and should spread them all over the network in proportion. thats what i founded and liked to share. Twitter quite possibly has the worst customer service, not to mention no phone number to reach a live person, when nobody but a robot answers your email. With the new penguin and panda updates I think social media links are now more important than ever. Thank you very much for sharing your ideal, it so cool. Thanks for the information. I was wondering if my link posted via twitter would have any juice. Now I know it will. I also have been building a solid social media profile.Twitter so far has been a great part of that.My links mainly come from tweets. Thanks for explaining the basic information, i was confused before this how to create a link from twitter, now its clear to me. Despite including my links in my tweets, I get very few backlinks from Twitter as shown in my Google Webmaster Tools metrics. Twitter card is a new boy in this game. I believe it is the best way to improve the web presence through twitter. I only used Twitter to pass on tips and information about our carpet cleaning service. I had no idea about its bigger and better uses, now that I know different I will use it differently. Thanks for such useful article.